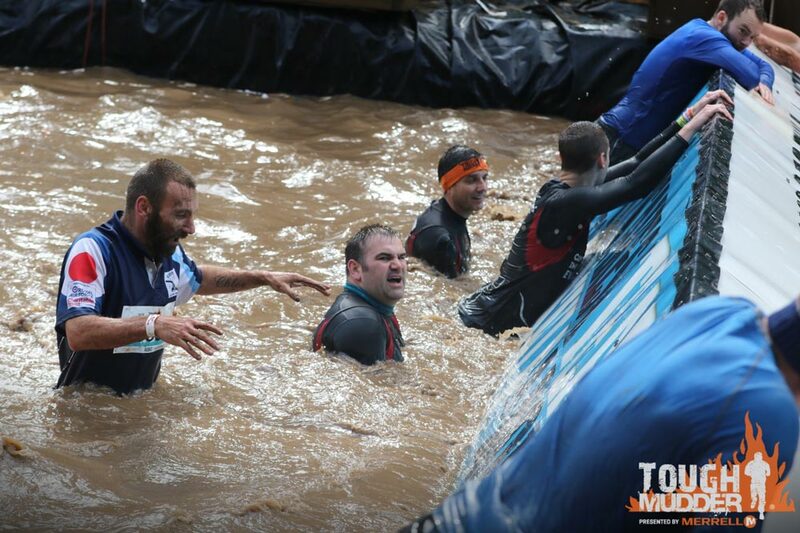 A small team from Victorian Plumbing recently took the Tough Mudder Challenge. 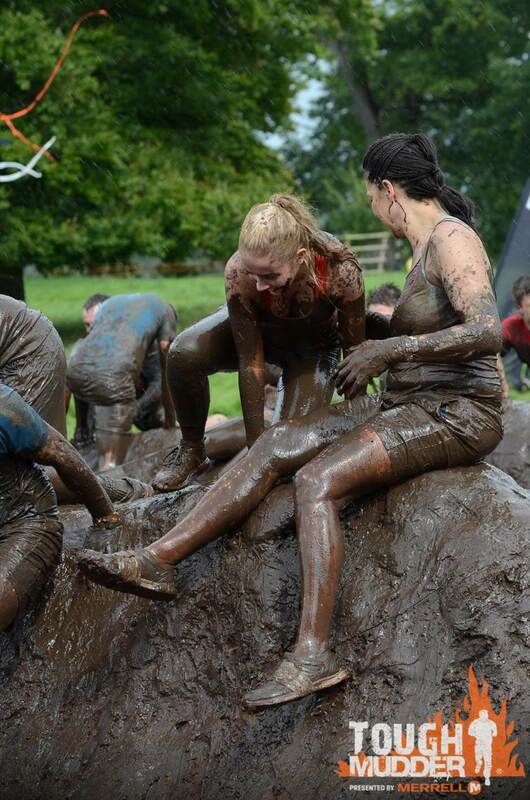 Come along with us and find out how we got on - without getting your shoes dirty! Posted By Alan, 28th Nov 2017. 3 Minute Read. 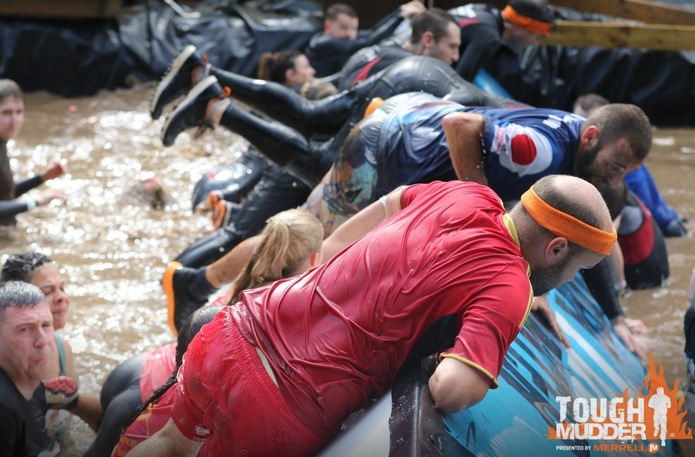 Now that we’ve finally recovered, found that last piece of mud hiding away (where you really don’t want to know about) and collected the last bit of sponsorship money; I think it’s time to finally update you on our recent charitable event - The Tough Mudder Challenge! 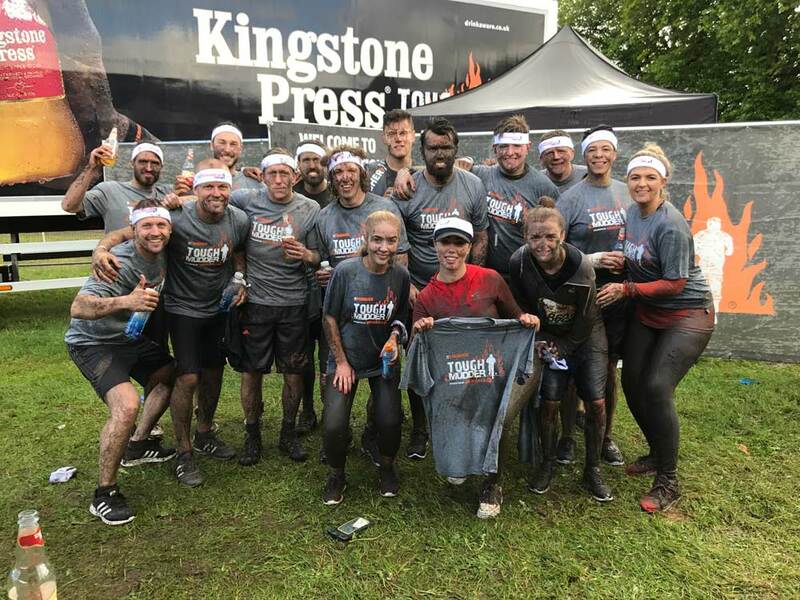 Back in September, a small group of brave, or possibly stupid, members of the Victorian Plumbing team took part in a 5 mile obstacle course for an amazing charity, Claire House. Claire House Children’s Hospice is a wonderful charity which allows seriously and terminally ill children to experience life to the full and we’ve been raising money for them through lots of charitable activities throughout 2017. What better way to show our support than to drag ourselves out of bed on a cold and rainy Saturday morning and head for the very scenic Cholmondeley Castle, Cheshire. 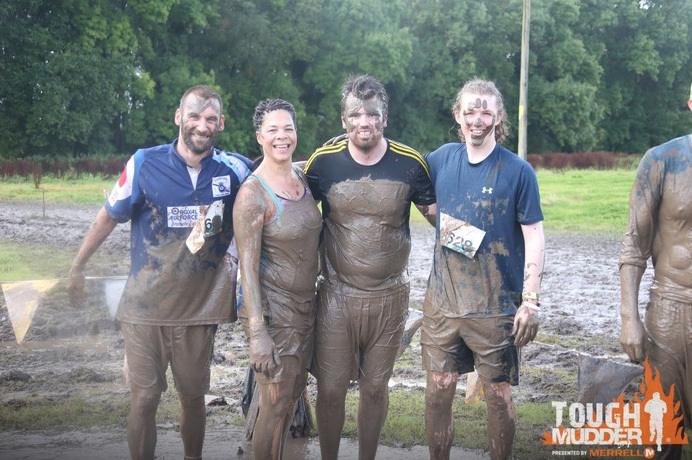 When we arrived it was pouring with rain which made it one of the muddiest Tough Mudders I’m sure, but even just standing in line waiting for our numbers we were getting our feet wet... Great start! We finally got ourselves ready for the event and approached the starting line; freezing, soaking but smiling, well most of us were - Gary!! 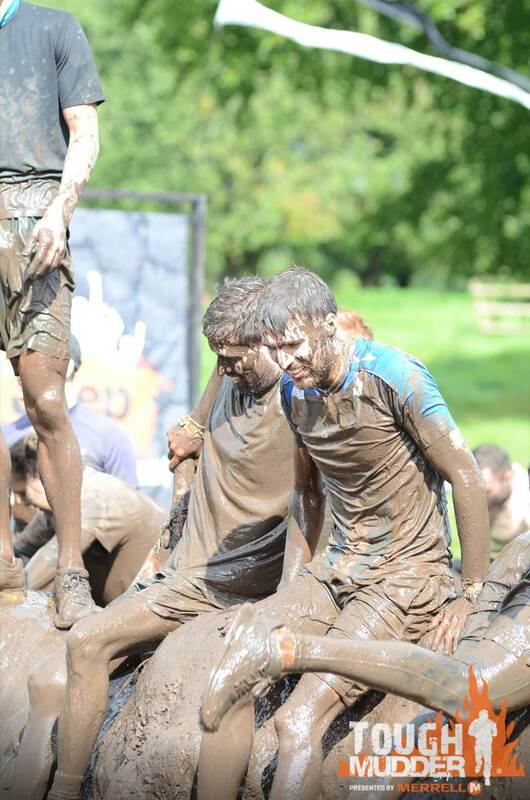 Shaking uncontrollably, we prepared ourselves for this gruelling ordeal by being ordered to prance around to help warm up and prevent any pulled muscles; the last exercise being to lie down facing the mud and then to sit in the mud and turn around - Great! 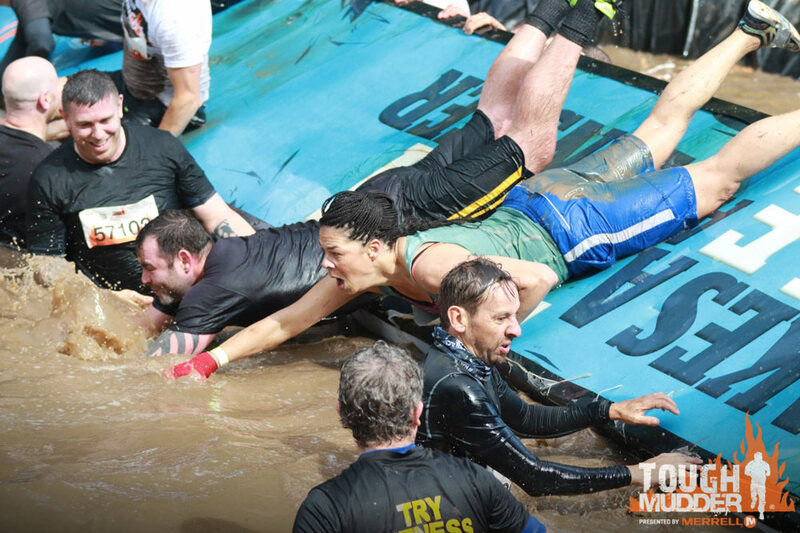 We finally listened to some last minute rules and motivation and then we were off! It wasn’t very long before we were slutch’d up to the nines (as my dad would say), slipping, sliding, laughing and dreading what ever was going to be next. The first proper challenge dropped us straight in at the deep end - literally! Hang on a minute - who's this?! The art of this was to grab it and hold on, whilst individuals on the other side of this giant treat would pull the rotating object down towards them, and you would be lifted over to the next section. The other thing you had to do was prepare for landing; if you didn’t quickly change your position half way over then you were aiming head first into very cold, and very muddy, water. There were lots of 'lovely' sections, but only 3 of them had a photographer and this section is where our party got most of our pics! 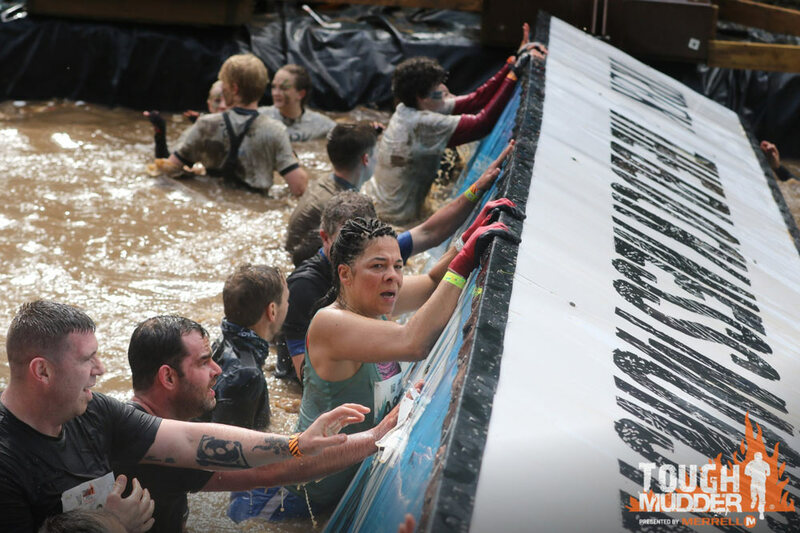 We quickly got ourselves out of this ‘not very spa-like’ pool and headed on to the next obstacle. Running with a squelch in your shoes is such a weird feeling and being wet through was not so bad after a few minutes of running. It sort of felt like the worst had been overcome. 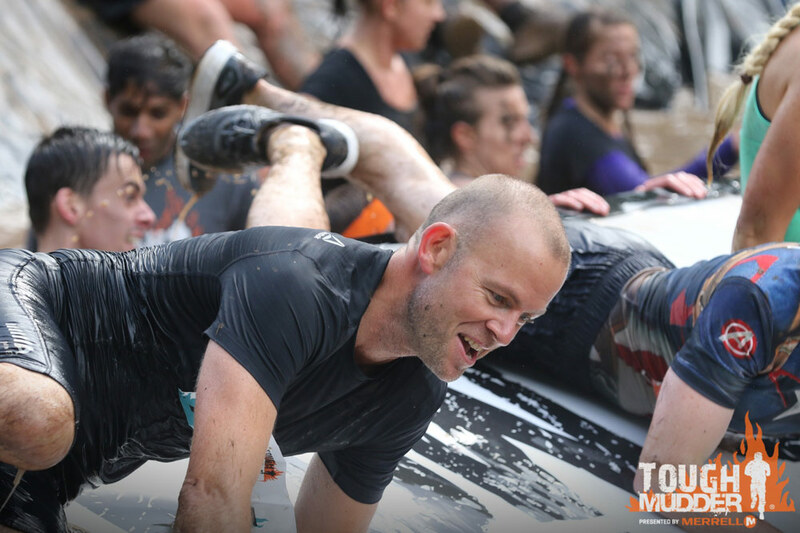 We then came across the Kiss of Mud obstacle. 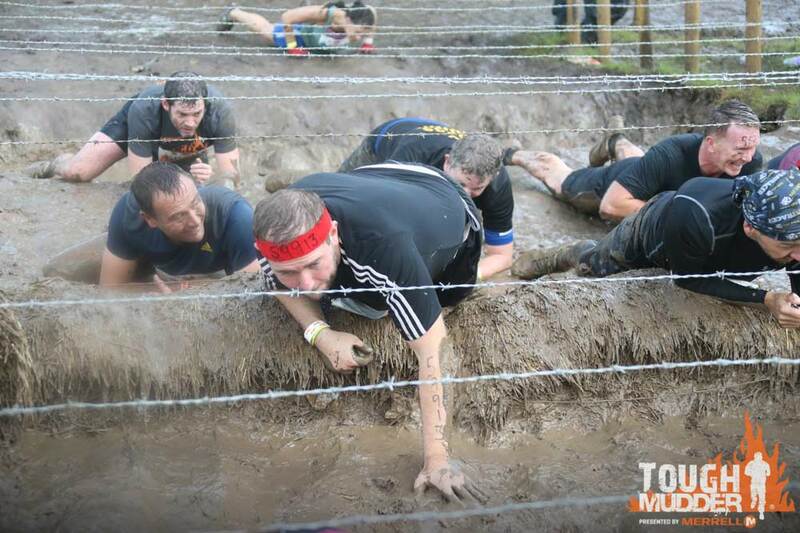 This was not as easy as it looks and it involved lying down on our front and army crawling through mud trying our best not to get caught on the barbed wire above. 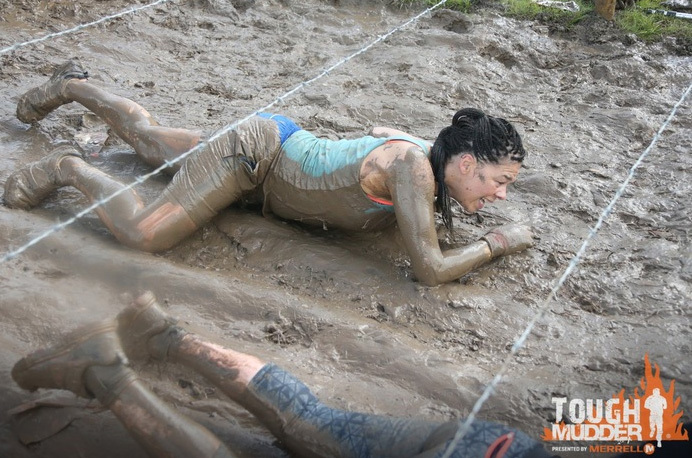 It’s surprising how slippery the mud is and it really isn’t easy to get a good grip - I think I probably looked a bit like Bambi on ice here! 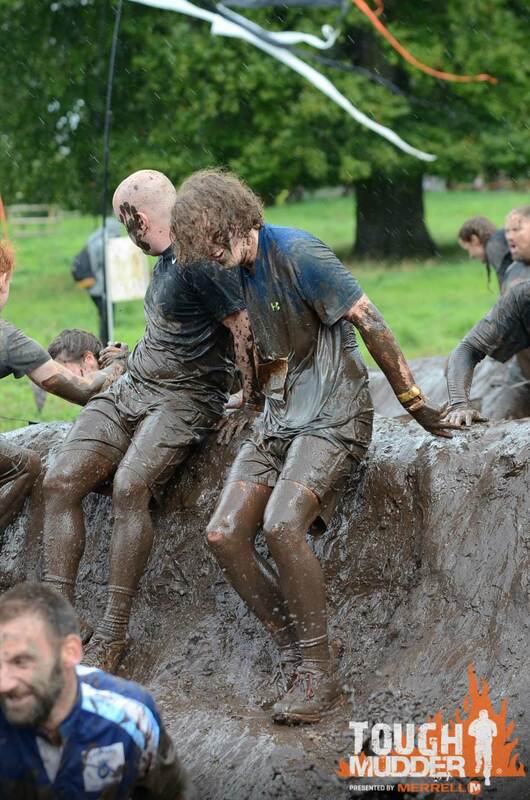 We then hit several muddy obstacles before arriving at the Quagmire! 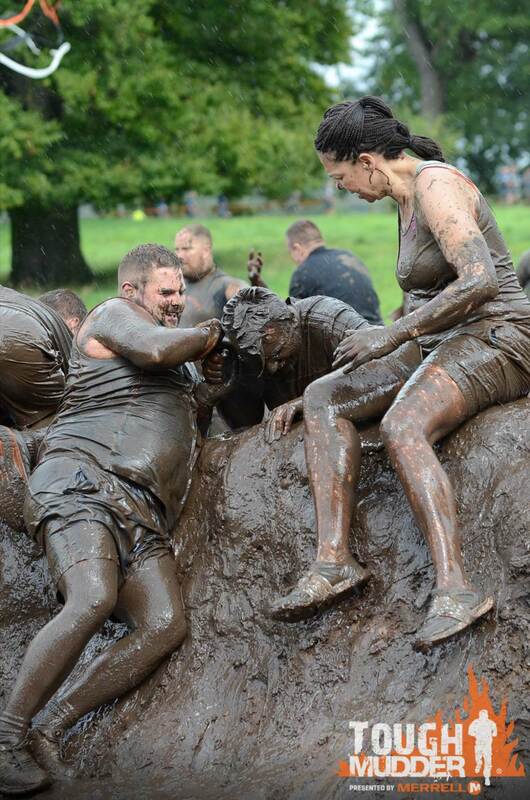 This one looked like a giant mud pie and was looking to steal anybody’s shoes that weren't tied too tight. 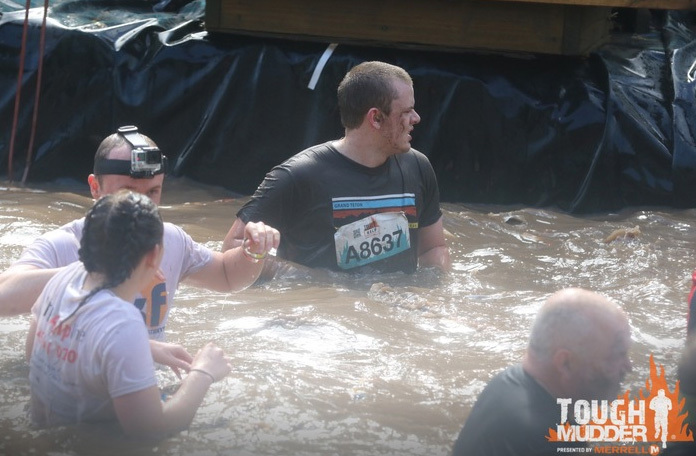 It involved several slippery mounds of mud with thick, muddy water in between. Each mound would seem to get even harder to get over than the next. I’m glad to say we all made it over in one piece! Mountains out of mud hills! 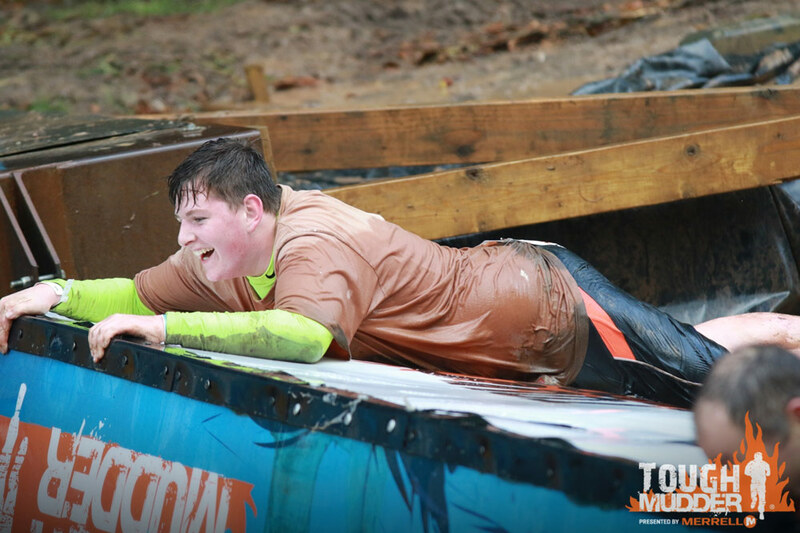 Although some of us got over a lot cleaner than others… Jonathan!! 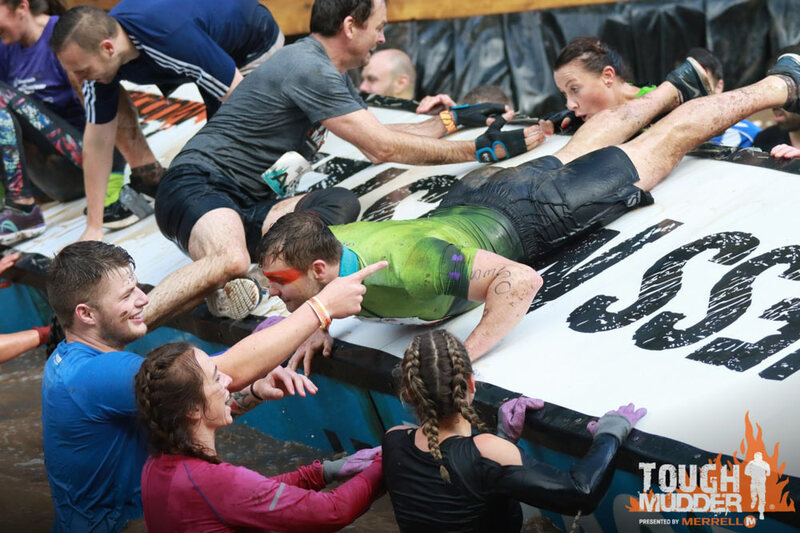 We had so much fun throughout the day and although the weather started off horrendously, everyone who took part, including those who weren’t part of our team all seemed to pull together to make it a great experience! When we finished the course, we were awarded with our headbands, t-shirts and a well deserved beer. After that we hit the showers, which were outdoors and freezing cold! There was an excellent variety of food stalls, which were certainly taken advantage of - and then we jumped on the coach and headed home for a hot bath! The best news is, we were able to raise £1,034.50 for Claire House Children’s Hospice! 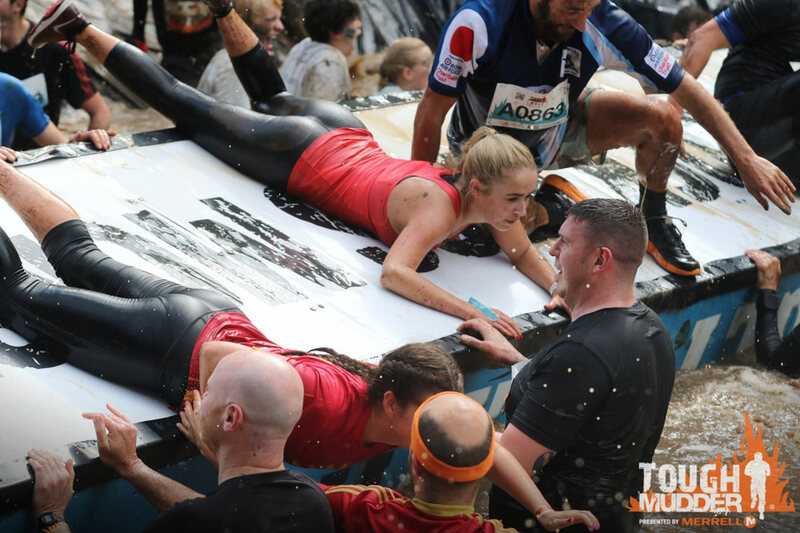 We hope you enjoyed reading about our Tough Mudder Challenge and seeing us suffer. 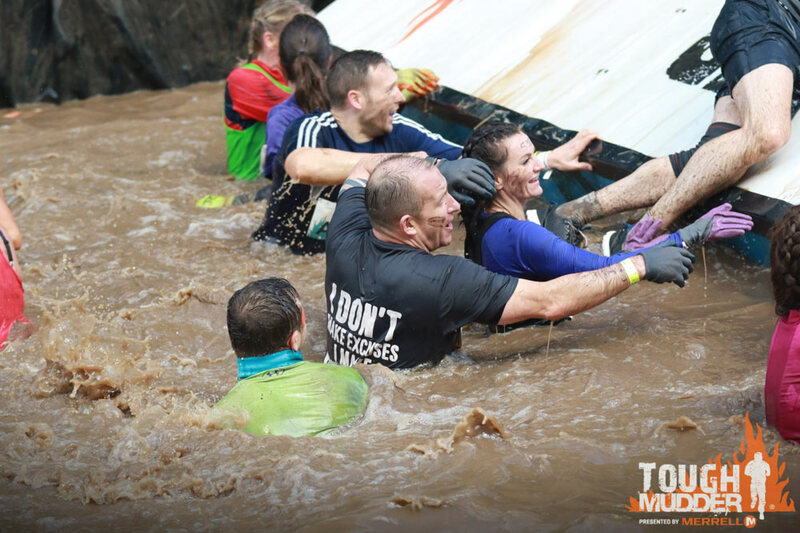 Most of us are already thinking about doing this again next year where we’re hoping to enter the full 10 mile event instead! 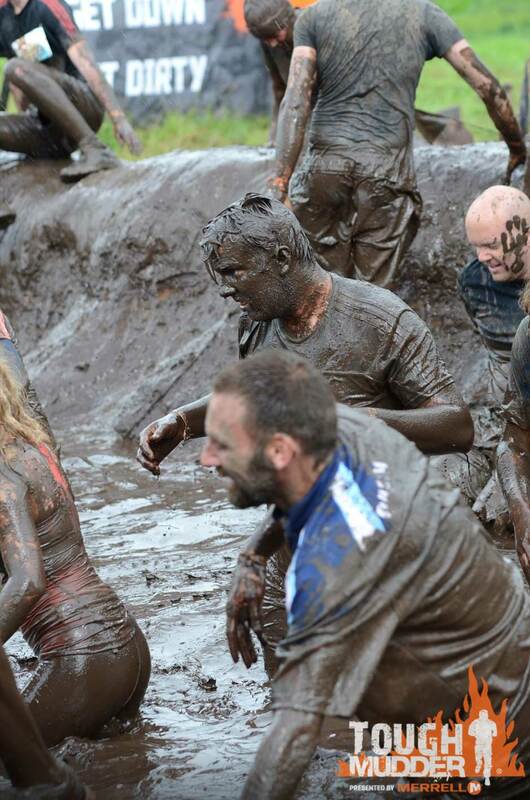 Thanks to all team members for taking part and everyone who sponsored and supported us! Planning a bathroom renovation? Check out these expert bathroom decor ideas from the bathroom specialists at Victorian Plumbing.